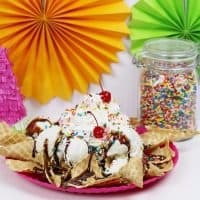 Ice cream nachos are a quick, easy, and indulging dessert nacho recipe that the whole family can enjoy together this summer. What better way to enjoy these final days of summer than by making a huge ice cream sundae for the whole family to enjoy. You don't need a spoon to enjoy this ice cream sundae! Broken sugar ice cream cone pieces are used as “chips” to scoop up the ice cream. 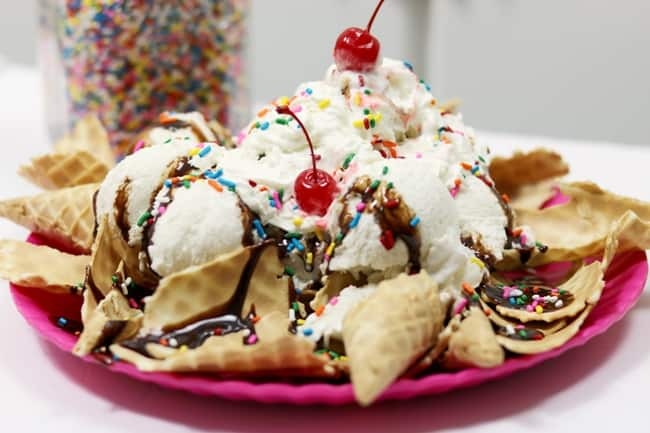 When you are making your ice cream nacho sundae, be careful not to break the sugar cones up too small. 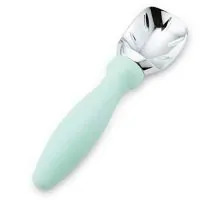 You want the pieces large enough to use to scoop up the ice cream. We made our dessert nachos to serve 4, but you can easily adjust the recipe to serve more or less. Also, feel free to use your family's favorite flavor of ice cream and ice cream sundae toppings for this recipe. I am thinking of trying it with homemade Twix ice cream next time. But, crushed cookies, chocolate chips, caramel, peanut butter sauce, and candy are all fair game. Better yet, let the kids help you make the ice cream nachos. 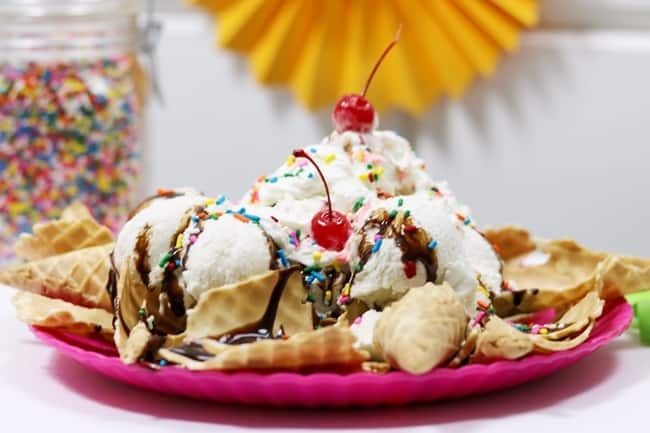 They will love to pick their favorite ice cream toppings and sprinkling them on top of the sundae. I hope that you and your family enjoy this sweet summer dessert recipe. Let us know if you tried the recipe with other flavor combinations in the comments below. I would love to know which flavor ice cream nacho sundae to try next! Break sugar cones into large pieces and place out evenly on plate / platter. Add 4 scoops of ice cream. Top generously with whipped cream, chocolate syrup, sprinkles, and cherries. Serve immediately. So creative and yummy! Love it!! This is such an awesome idea! What a great way to share dessert as a family! 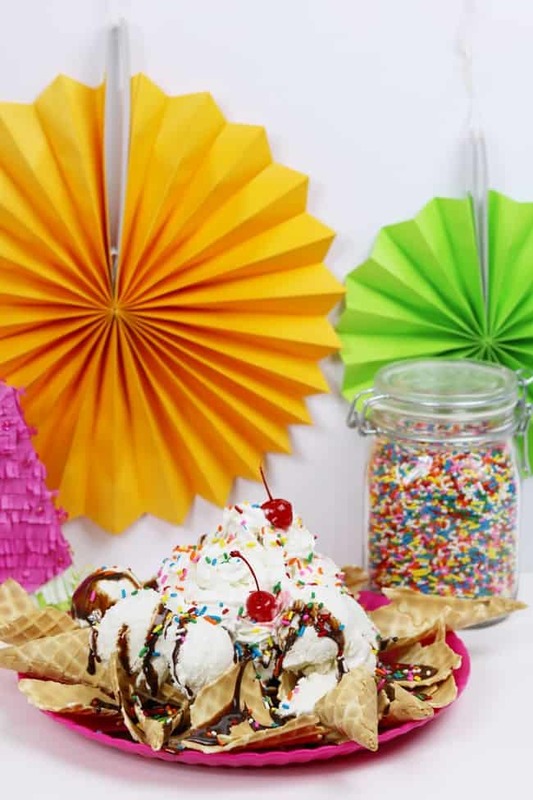 My kids would LOVE to make these ice cream nachos! What a fun idea! So creative, delicious and perfect for parties! What a fun and festive idea for dessert. Would be great for a kids’ birthday party! This would be great for a birthday party! Love it! These are so colorful and fun! 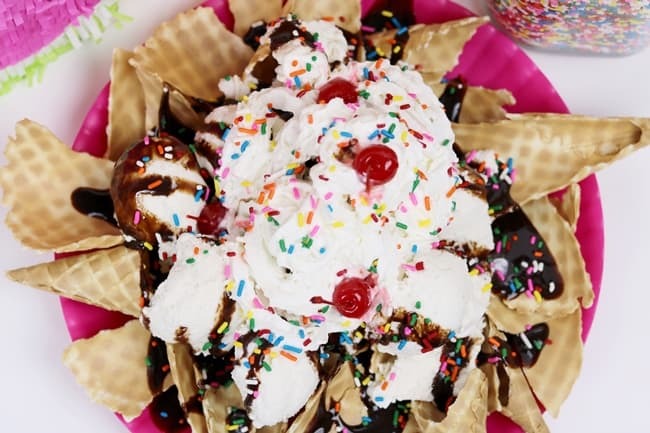 I never would have thought to make ice cream nachos!